The annual Mercer Worldwide Cost of Living survey was recently published for 2008 in late July. Not surprisingly, Copenhagen ranked 7th, down from 6th in 2007, and Moscow ranks number one as the most expensive city in the world. Click on the link above to see the entire list. 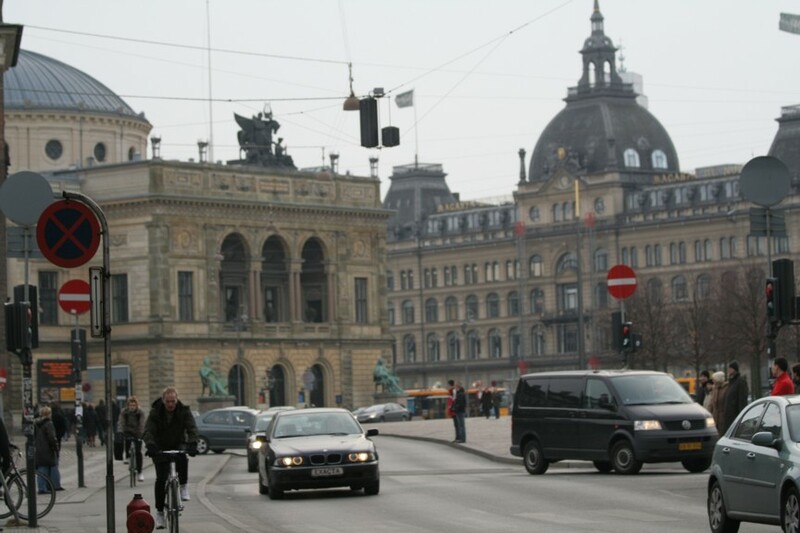 Mercer also ranked Copenhagen as the 11th best city to live in, ranking Zurich as no. 1 in 2006. These rankings, as well as many others on Denmark being the happiest place in the world, were recently underscored by Monocle magazine’s ranking of Copenhagen being “the best city in the world for quality of life” in June this year. It also won, “best design city” by the magazine. In an article written by Copenhagen Capacity entitled “Why Copenhagen is the best city in the world for quality of life,”it states that some of the reasons for why Copenhagen has won this accolade by Monocle including, “Copenhagen’s 1,600 annual hours of sunshine (WHAT??? ), the 167 cinema screens in 32 different cinemas (AGAIN, WHAT??? ), and the low murder rate of six per year (OK, this is true).” Other reasons cited include green policies and the fact that 54.9 percent of the city’s waste is recycled, innovation with an average of 5,000 new firms established each year, and a tolerance towards homosexuals. Finally, the editors state, “good humour, their intellect and, of course, their good looks,” as final aspects that sealed the deal. Interesting…. There are many reasons why I personally believe that Copenhagen is ONE of the best cities to live in. I don’t know if I would say it is the best overall. Comparing my experience living (not just visiting) in Dallas, Austin, New York, Boston and San Francisco, oh, and Erie, Pennsylvania :), I would say that there are many pros such as convenience (easy to get around, limited traffic, possibility of biking most everywhere, etc. ), accessibility, safety, infrastructure, social welfare system, international orientation (mostly but not always), choice of natural, organic products, quality of life in terms of outdoor activities and cultural offerings, pace and tempo (more human and balanced). I also find that the people in general have a greater sense of living their values – placing priority on family, being healthy and leisure (ok, maybe a little too much sometimes, but it beats burning yourself out like in the U.S.), vacations (six weeks is most common), nimbleness in terms of policy changes (small enough to implement changes in the system relatively easier than a larger, more bureaucratic nation). I could go on and on I suppose. There are draw backs, don’t get me wrong. I won’t get into the negatives as I would prefer to focus on what I like about Denmark, which is a lot seeing that I’ve been living here for six years now — longer than I lived in the above mentioned cities. I will say that this cost of living survey does hit home and with the compromised world economy, we are starting to feel the crunch – especially when purchasing our vegetables. Cheers for Copenhagen being simply THE BEST! About the cinema, have you ever been to Palads? They have like 26 biografsal or something, while Imperial has three HUGE ones. How about cons in living in Copenhagen? Are Danes tolerant towards immigrants? I’ve heard many horrible stories on how they are treated by the dominant society. Hey, bluefish, that aint true… i live in Denmark and i am fine about Immigrants. And all others seem to be fine, but no such thing as bad treating for the immigrants.